Moving to a new city can be tough for a number of reasons, but what’s arguably hardest about moving is a competitive and expensive housing market, and lack of a pre-existing social support network. That’s the problem startup Bungalow is trying to solve. 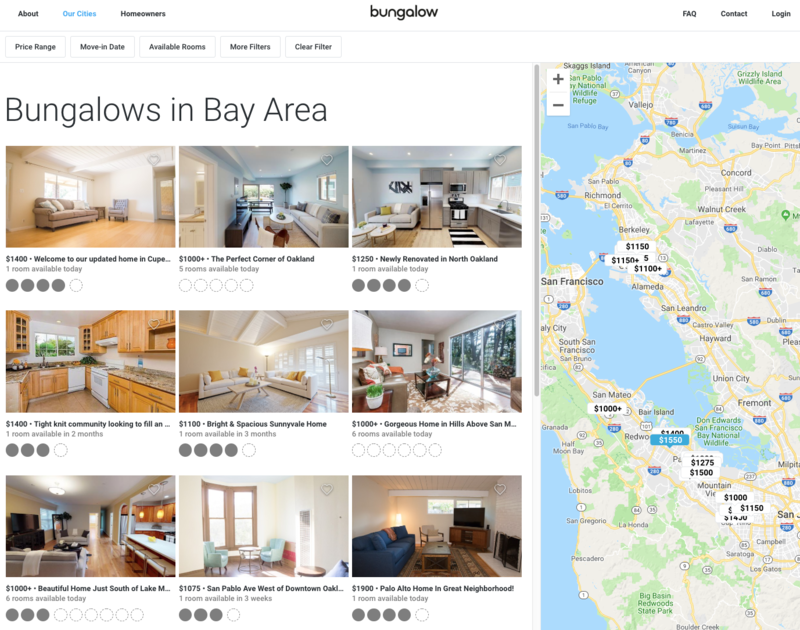 Bungalow, which just raised a $14 million Series A round led by Khosla Ventures with participation from Founders Fund, Atomic VC, Cherubic Ventures and Wing Ventures, offers people relatively affordable places to live with others who have been vetted by Bungalow’s platform. As part of the round, Keith Rabois of Khosla will join Bungalow’s board of directors. Bungalow also raised a $50 million debt facility to fuel its home growth costs. Bungalow had previously raised a $7 million seed round. Bungalow, which joins the likes of WeLive, OpenDoor, Common, Roam and so many others, aims to be cheaper than getting your own studio or one-bedroom apartment, and offer a better experience than finding a roommate via Craigslist. Bungalow works with homeowners to lease their homes as the master tenant for three years at time. From there, Bungalow rents out the property on a room-by-room basis while guaranteeing occupancy to the homeowners. For the renter, Bungalow says it’s about 30-40 percent cheaper than a studio. Depending on the market, of course, the prices can vary. Bungalow also furnishes shared common spaces, provides utilities, Wi-Fi and housekeeping in the monthly rental cost. In addition to what’s provided inside the space, Bungalow hosts monthly events for members in its properties to meet each other within a given market. Bungalow currently operates 200 properties across seven markets, including the San Francisco Bay Area, Los Angeles, New York City, Portland, San Diego, Seattle and Washington, D.C. In total, there are 750 people residing in a Bungalow-leased property. All residents first must go through credit and background checks, as well as interviews with any existing residents before moving in. But that process can happen very fast, the company said. Some people have moved in same-day, but on average people look about 10 to 20 days ahead of when they’re trying to move. While Bungalow’s current model is leasing assets from homeowners, it’s set up to operate any type of asset, Collins said, whether that’s a joint-venture or independently owned by Bungalow. Within the next six to 12 months, Bungalow is looking to launch in up to 12 new markets in the U.S. Next year, Bungalow hopes to expand its offering outside of the U.S.
Dorothy's Ruby Slippers Were Stolen 13 Years Ago. Now They've Been Found.